A senior Iraqi politician says the Iraqi parliament will discuss the withdrawal of US forces from the country amid rising unease at Washington’s meddling in Baghdad’s internal affairs. MP Ahmad al-Assadi, the leader of the Iraqi Construction Alliance, said the lawmakers will step up their demand that the Iraqi government force US troops to leave the country, Arabic-language Arabi21 online newspaper reported. Calls for the withdrawal of US troops began during the last legislature, but lawmakers are now seeking a “clear timetable” for a pullout, he said. The US, enlisting some of its Western allies, began deploying troops to the Arab country in 2014 under the pretext of fighting Daesh terrorists who were defeated in Iraq last year. He said the push for the withdrawal of US forces will double once the new parliament is sworn in, where lawmakers will allow the presence of foreign military advisers and trainers based on the requirements specified by state authorities. 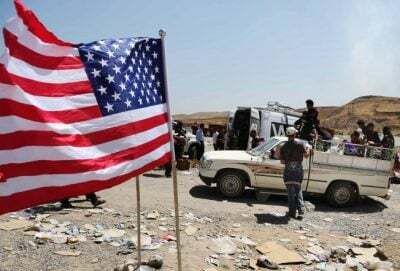 The US has maintained a military presence in Iraq since 2003 when Washington invaded the country under the pretext of destroying weapons of mass destruction which were never found. The invasion plunged Iraq into chaos and led to the rise of terrorist groups. More than one million Iraqis have been killed because of the US invasion and the subsequent occupation of the country, according to the California-based investigative organization Project Censored. In August, thousands of Iraqis took to the streets in Baghdad to condemn US meddling in the Arab country’s domestic affairs amid debates over the make-up of a new government. Earlier this month, Iraq’s Foreign Ministry hit out at the US for dictating how the country should deal with neighboring Iran. Iraq’s former prime minister and leader of the al-Wataniya faction in parliament Ayad Allawi warned earlier this month that the new US sanctions on Iran would deeply impact the Iraqi economy.